LSTM's Dr. Maxine Caws is co-lead investigator on an advanced genetics study published in Nature Genetics, which has shown that a virulent strain of tuberculosis (TB) has adapted to transmit among young adults in Ho Chi Minh City, Vietnam. The authors sequenced over 1,500 TB bacteria from patients and showed the strain known as Beijing lineage, was responsible for 60% per cent of TB cases in the city, and 60% of those diagnosed in younger people. The authors went on to identify a gene in the bacteria which is under positive selection—certain changes in this gene appear to be favourable to the bacteria's survival- and may be responsible for this enhanced virulence. Dr. Caws, said: "The global health community has set an ambitious goal to reduce TB deaths by 95% and to cut new cases by 90% by 2035, known as the END TB strategy. To achieve this goal, we need better tools to diagnose, treat and, most importantly, prevent TB disease. The current vaccine for TB, the BCG vaccine, is a weak vaccine and does not completely protect people against TB. This study contributes important information to our understanding of how the TB bacteria is adapting to changes in human populations and how it interacts with our immune system to help us design better strategies to eliminate TB." TB is the leading cause of death globally from a single infectious agent, Mycobacterium tuberculosis, that typically affects the lungs, but can also infect other sites of the body. There are 10 million new cases and almost two million deaths each year from TB. Several antibiotics are used to treat TB, however treatment takes place over at least six months and requires no fewer than four drugs to which the bacteria is not resistant. The emergence and spread of drug-resistant TB bacteria is a considerable threat to global health. 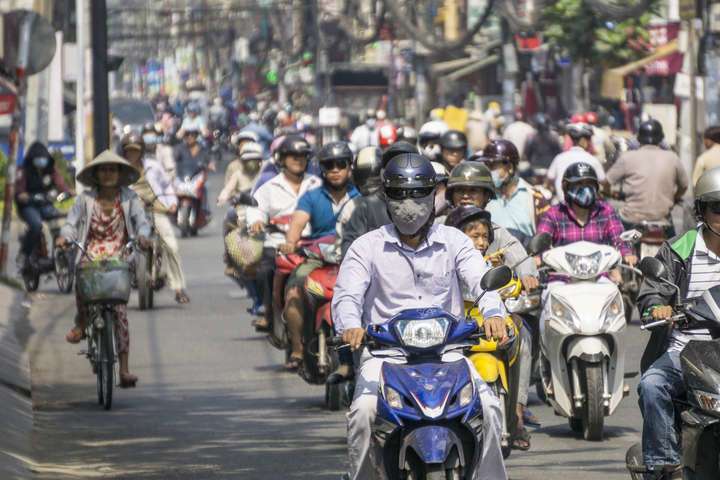 Vietnam is one of the WHO High Burden Countries for TB and multi drug-resistant TB, and in 2016 there were an estimated 126,000 new cases and 13,850 deaths from TB in the South East Asian country. First author on the paper, Associate Professor Kathryn Holt from the University of Melbourne's Bio21 Molecular Science and Biotechnology Institute, said the study shows that the Beijing lineage of TB bacteria spreads more easily from person-to-person than other strains of the bacteria. She said: "Contact tracing, which is looking for early signs of TB infection in people who have been in close contact with TB patients, and treating them before they can spread the disease further, is an important part of TB control, but it takes a lot of resources. All TB patients have the potential to transmit the TB bacteria to others when they cough, but our data indicates this is more likely to result in new disease cases if the infection is caused by the Beijing lineage. In setting with limited resource, it would make sense to prioritise contact tracing for Beijing lineage TB cases."